The other day someone wrote to me and complemented me on my blog--which was very nice and made me blush--and then wrote something to the effect, "By the way, you sure talk a lot about some guy named Chuck." I suppose I do! (grin) But only because I talk a lot about writing on writing and Chuck Wendig has done some of the best. I also write about Dean Wesley Smith, Kris Rusch, Passive Guy and a number of others. Which is all a way of working up to saying that this is another blog post inspired by something Chuck Wendig wrote! While I acknowledge it's not the only way of going about writing I admit to being boggled that there are those who don't. Dean Wesley Smith for example. Also Stephen King. These are both excellent, prolific, writers who make a good living from their exercise of the craft/art. So it's not as though I think there's only one way of going about things. That said, the thought of writing anything more than a 6,000 word short story without some sort of idea of both where the story is going and how it is going to get there gives me the heebie-jeebies. Why? Well, I'm glad you asked that. Sometimes what kills us is a lack of confidence in our storytelling. We get hip-deep and everything seems to unravel .... You suddenly feel like you don’t know where this is going. Plot doesn’t make sense. Characters are running around like sticky-fingered toddlers. The whole narrative is like a 10-car-pileup on the highway. Your story hasn’t proven itself, but an outline serves as the proving grounds. You take the story and break it apart before you even begin — so, by the time you do put the first sentence down, you have confidence in the tale you’re about to tell. Confidence is the writer’s keystone; an outline can lend you that confidence. [W]hat happens is, you finish the first draft (tens of thousands of words) and what you suddenly find is that this is basically one big outline anyway, because you’re going to have to edit and rewrite the damn thing. An outline tends to save you from the head-exploding bowel-evacuating frustration of having to do that because you’ve already gone through the effort to arrange the story. A little work up front may save you a metric ... ton later on. No plan survives contact with the enemy, and while you’re writing you’re going to see new things and have new ideas and make crazy connections that are simply not in the outline. Make them. Take the exit! Try new things! Don’t let the outline be a pair of shackles. Some folks never do an outline up front — they let their first draft (or the “zero draft,” as it is sometimes known) be the pukey, sloppy technicolor supergeyser of nonsense and then they take that giant pile of quantum hullaballoo and from it pull a proper outline before attempting to rewrite. This may take you a bit longer but if the result is a story you’re happy with, then ... go forth and do it. Every process you choose should be in service to getting the best story in the way that feels most… well, I was going to say comfortable, but really, comfort is ... forgettable in the face of great fiction, so let’s go with effective, instead. I'll often start off with a picture, an idea, an inkling, a mood, a feeling or a desire to explore a certain genre, and I'll start writing. Often I'll change direction, but (and this is the main thing) I'll discover more about what it was that I originally had hold of. Sometimes, sure, I'll decide I didn't really have hold of anything and then abandon the idea, but, overwhelmingly, by the end I'll have grasped something, some story, that I'll then know well enough to do an outline of. 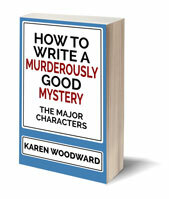 Chuck Wendig's article is food for the writerly soul--or is that chicken soup? Anyway, I can't recommend it highly enough (adult language -->): 25 Things You Should Know About Outlining. 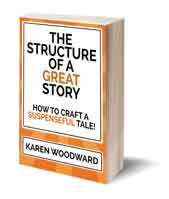 Also, CW mentions his previous article: 25 Things You Should Know About Story Structure, which I talked about here: Chuck Wendig on Story Structure. Do you outline? Ever? Why? Why not? 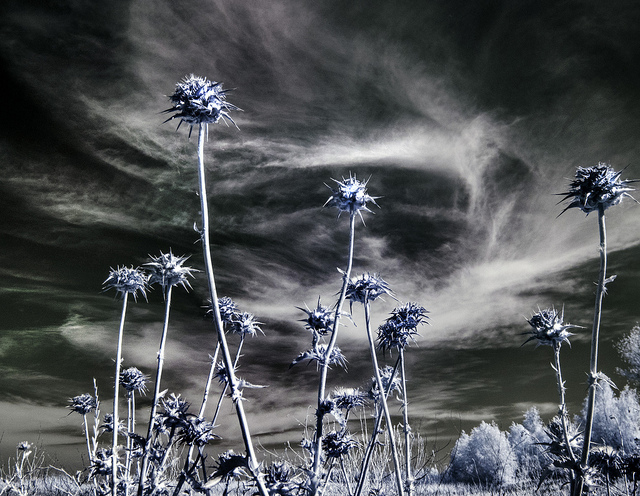 Photo credit: "sharp" by Robert Couse-Baker under Creative Commons Attribution 2.0. But having an idea of where the novel is going, definitely. Sometimes I'm not terribly sure how I'm getting there, or everything that will happen in between, sometimes I do just write through a scene, then make it exactly right later, but usually, there's a general idea of where things are going in my head. Yes, I think it differs, different strokes and all that. And I think it can vary with the project. Sometimes the story will come to me, in a rush, all at once. It's as though my muse was working on it without my knowing and then she just hands it to me. When that happens, often I can write a short outline and then just dive in. Other times I'll have a vague idea of the story and I'll start writing and see where it takes me. If it takes me somewhere interesting then I'll extract an outline from my ramblings. This right here is exactly why I haven't finished a novel yet. I just can't outline. I can feel the rigor mortis creeping up my throat just thinking about it. It's a particularly unrealistic way of going about things but I can't seem to quell my Sagittarian soul when it comes to this whole area. Bloody annoying. About outlining, like life and skinny jeans, it's not one size fits all. Even Chuck Wendig wrote that he outlines mostly to save time. I couldn't do it either. Talk about nerves of steal. Though I'd love to watch Dean Wesley Smith write a novel in 10 days. That's one I'd definitely buy.